This was a Q&D weekend project. I thought it would be great to have a macro 3D camera. A normal 3D camera has a typical distance between the lenses of 60-70 mm simply because the average interocular distance of humans is in that range. This works fine as long as the distance to the subject and the field of view is reasonable. But you cannot have a distance that big when taking macro images. To make a good experience you have to decrease the distance between the lenses as the distance to the subject gets shorter. When making such a macro camera you run into a problem. It is not possible to put two lenses just a few millimeters apart. There are several ways of solving this problem. 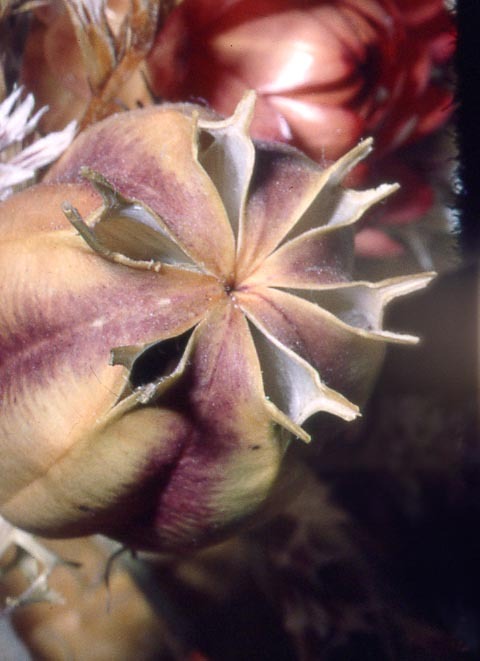 One method is to use a single lens with two apertures. 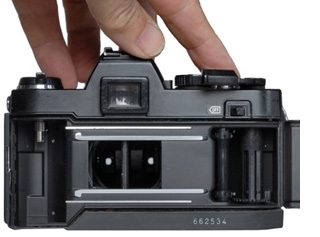 The camera is made out of junk from various cameras, lenses and accessories. I made the camera around 1990 so it is a pre digital thing. The body is a Konica TC and the lens a Konica Macro-Hexanon AR 105 mm/4. 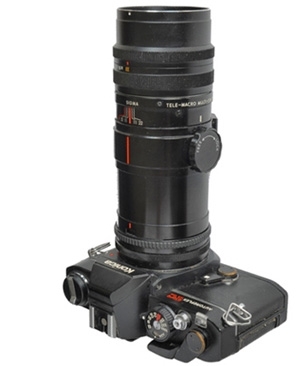 It is intended to be used with a macro bellows and has no focusing ring. The diaphragm is replaced by a plate with two holes. The lens will then produce two images with a slightly different perspective. 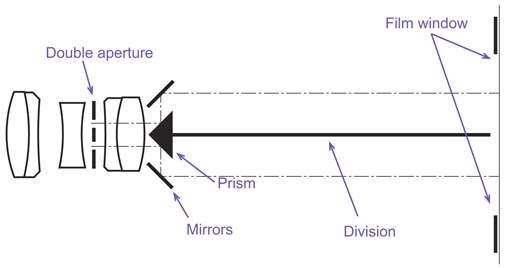 A prism and two mirrors are placed close to the rear lens element. This arrangement separates the two images so they will hit the film side by side rather than overlapping each other. A divider stops light leaks between the two paths. The 24x36 mm image is divided in two portrait oriented images of about 24x17 mm each. 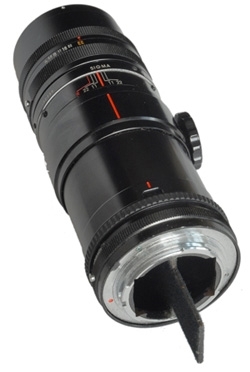 Here the lens is seen from the front and back. The effective aperture is f64 with this long extension. Not good, it causes diffraction and the images never came out really sharp. I told it from the start - it's a quick and dirty project. The magnification is fixed and the camera mirror must be locked in up position. So i used a simple guide stick to frame the view. 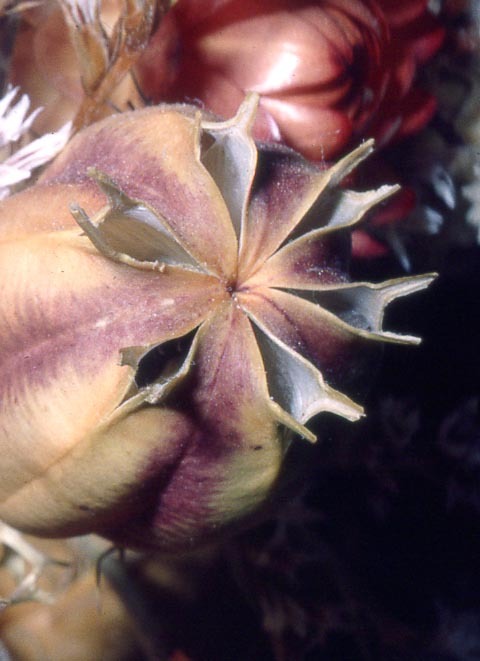 A flash was used to get enough light for this small lens opening. Everything else was fixed and so was the flash setting. The two mirrors and the prism come from a Honeywell Visotronic AF module. This was a device used in the very first AF cameras. 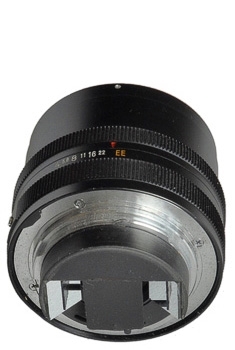 The parts for the extension tube and bayonet mount comes from a Sigma tele lens and extension tubes.